An enlightening, intensely researched examination of violations of the constitutional principles that preserve individual rights and civil liberties from courtrooms to classrooms. 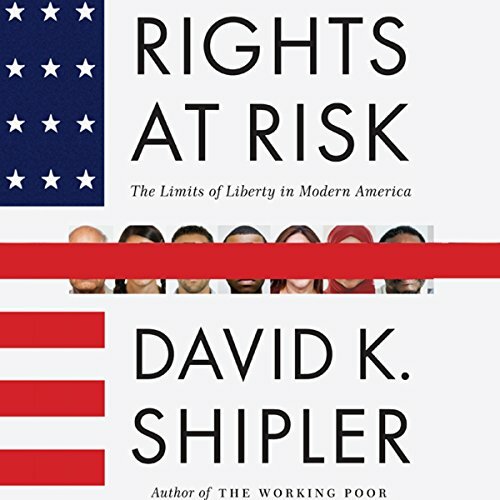 With telling anecdote and detail, Pulitzer Prize-winner David K. Shipler explores the territory where the US Constitution meets everyday America, where legal compromises - before and since 9/11 - have undermined the criminal justice system’s fairness, enhanced the executive branch’s power over citizens and immigrants, and impaired some of the freewheeling debate and protest essential in a constitutional democracy. There is, always, a human cost. Shipler shows us victims of torture and abuse - not only suspected terrorists at the hands of the CIA but also murder suspects interrogated by the Chicago police. We see a poverty-stricken woman forced to share an attorney with her drug dealer boyfriend and sentenced to six years in prison when the conflict of interest turns her lawyer against her. We meet high school students suspended for expressing unwelcome political opinions. And we see a pregnant immigrant deported, after years of living legally in the country, for allegedly stealing a lottery ticket. Often shocking, yet ultimately idealistic, Rights at Risk shows us the shadows of America where the civil liberties we rightly take for granted have been eroded - and summons us to reclaim them. ©2012 David K. Shipler (P)2012 Audible, Inc. This work clearly leans to the left but still makes some good points. The violations on our right to bear arms was not even brought up. the author also clearly worries about the rights of non citizens if your here illegally you don't get to be protected.